Anyone who is constantly exposed to the stresses and strains of a hectic lifestyle can benefit from the practice of Mindful Meditation. If you feel the need for something that will change your life for the better, a Mindfulness Retreat could be just what you need. Mindfulness Retreats come and many shapes and sizes (with or without luxuries like spa treatments and personalized diets) and the perfect retreat to suit you is out there waiting to be discovered. If you feel you are not yet ready for a lengthy retreat you will find that several of the meditation centers and retreats offer one-day programs or even an on-line course which could set you on the path to self-discovery and self healing. When you check in to Ala Kukui in Hana, Maui, you become one of the community and share their quest for spiritual and intellectual enhancement. The center is located on a hillside, surrounded by green Kukui trees and lapped by the ocean – a place of great serenity far from the distractions of everyday life. Groups may book the four-bedroom Retreat House for a group retreat while individuals seeking an ideal spot for meditation and introspection may book one of the comfortable cabins. The center offers a large indoor/outdoor room ideal for yoga, a meeting room for lectures and get-togethers and a fully equipped commercial kitchen for larger groups. Buddapath is an India-based tour operator which organizes a regular series of mindfulness retreats and journeys which take you to some of the worlds’ most spiritual places. On your journey to enlightenment you will follow in the footsteps of Buddha, as you make a pilgrimage to various places which were important in his life. You will be joining a group of like-minded individuals who seek a deeper understanding of Buddhism and mindful meditation. You can choose a Buddapath experience for anything from one day to two weeks, depending on your budget and tours can be customized to suit your particular interests. The Buddhist Retreat Center in Ixopo overlooks a serene vista of rolling hills, valleys and forests – the perfect setting for a mindfulness retreat. The center is surrounded by 300 acres of quiet trails where you can practice mindful hiking and walking as you admire several species of wildlife in their natural surroundings. Buddhism (also known as the Middle Way) welcomes people from all religions and all walks of life who would like to learn how to live a more fulfilling life, and the retreat offers both structured (conducted) group retreats and un-structured self-retreats for individuals. The center is famous for its delicious vegetarian food, prepared on-site from home-grown organic fruit and vegetables and farm-baked break – day visitors are welcome to come for lunch. Run by the University of Massachusetts Medical School, the Center for Mindfulness offers people from all walks of life the chance to improve their lives by learning about mindfulness meditation. The center offers regular five-day live-in courses where you will be taught how to put mindfulness meditation practices into place in your life. You will enjoy yoga and stretching classes, group discussions about improving awareness in your day to day life and formal instruction on meditation practices. If you are unable to attend one of the residential courses you can sign up for an on-line eight-week intensive course to set you on the path to personal fulfillment. The Champneys group has a prestigious portfolio of luxury health spas dotted throughout England, where you can spend anything from a half-day to a week or two enjoying the epitome of pampering. 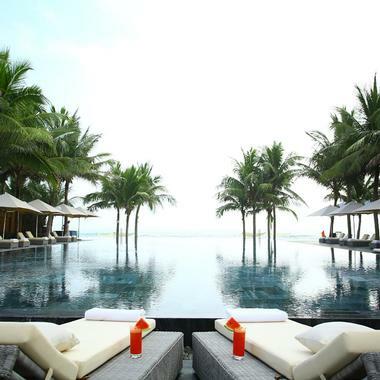 If you would like to combine all this luxury with the chance to learn more about mindfulness and self-healing you can attend one of their regular two-day Mindfulness Retreats. During your retreat you will receive coaching from an expert mindfulness instructor who can set you on a new path of self-discovery and help you to achieve personal fitness, spiritual healing and greater awareness through mindful meditation, yoga, stress control and improved nutrition. 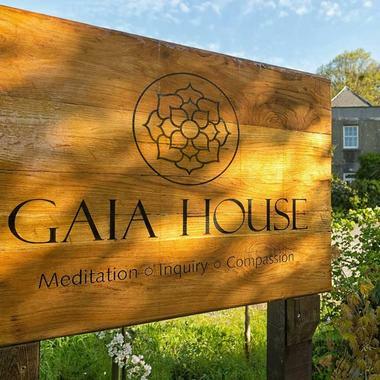 Nestled in the green heart of Devon, Gaia House offers people of all ethnicities, religions and walks of life the chance to attend a mindfulness retreat in the true Buddhist tradition. Gaia House hosts both group silent retreats and personal individual retreats. Guests are charged a very nominal amount to attend a retreat at Gaia House and everyone is asked to donate as much as they can afford in order to make the retreats available to everyone, regardless of their means. All the teachers at the center offer their services free of charge and fees just cover your accommodation and meals. The Hemera Foundation operates out of Boulder Colorado, where it is dedicated to offering the necessary resources required for individuals who would like to dedicate their lives to teaching the public about mindfulness and self awareness. The foundation makes it possible for teachers, medical personnel and other eligible persons to attend contemplative retreats which will enable them to pass on their knowledge to other people in need of self-healing. The foundation offers Comtemplative Fellowships which enable students to attend one meditation retreat each year at one of their partner retreat centers which are located in a variety of US states. 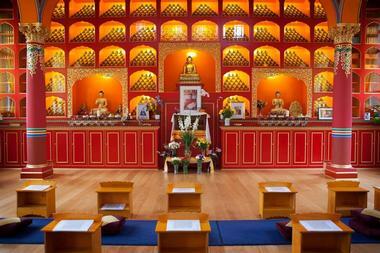 Kagyu Samye Dzong is a Tibetan Buddhist Meditation Center which offers stressed Londoners (and visitors) a tranquil place for meditation and other holistic practices. 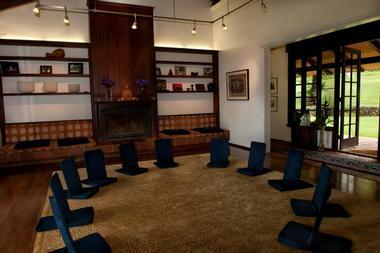 The center offers introductory courses for novices and free group meditation sessions on weekday evenings. In addition you can attend yoga and martial art classes, consult with a Tibetan doctor about improving your health and lifestyle and learn how to calm your mind and find spiritual healing through mindful meditation which focuses on calming your mind and focusing on the moment. According to Buddhist principals, the courses are offered free of charge and you are invited to give a donation of your choice in appreciation of what you learn. Karuna Bhavan, which translates as “Sanctuary of Peace” is an eco-farm and retreat run by the Hare Krishna community in Scotland. The retreat is focused on teaching followers how to find mindfulness in their day to day life through meditation and a compassionate way of life. People from all walks of life are invited to make a spiritual journey of self-discovery and self-acceptance as they visit the center for a retreat, day visit, annual festival or a short stay. Accommodation is in comfortable but basic rooms and as part of your experience you will enjoy lectures, prayer time, yoga, meditation and three delicious vegetarian meals every day. 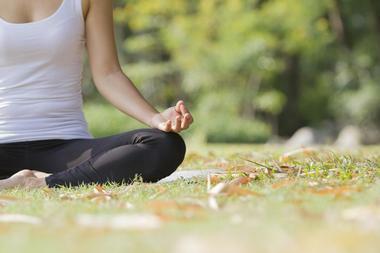 At the Kripalu Center for Yoga and Health you can choose from literally dozens of training sessions and programs aimed at improving both your physical and spiritual life. If you are new to the concept of mindfulness you can sign up for one of over 80 meditation classes which could lead to life-changing habits as you learn to surrender yourself to the present and learn how to accept and rejoice in everything life throws at you. The center also offers health and fitness classes, yoga classes, spiritual practice programs and much more. A retreat at the center could include spa treatments and healing massage, delicious vegetarian food (some poultry and fish is also available), yoga, meditation and healthy outdoor activities. You would be hard-pressed to find a more idyllic setting for a retreat than the beautiful coastal location of the Vilalara Longevity Thalassa and Medical Spa near Faro in Portugal. Here you can shrug off the stresses of everyday life and start a journey of introspection and self healing as you learn how to embrace mindfulness and meditation. During your retreat you will have private lessons from the center’s mindfulness expert, who will teach you how to change your life through mindful movement, meditation and mindful eating. You can join a three-day mindfulness program which includes four hours per day of private mindfulness sessions, use of the spa facilities, access to yoga and Pilates and three wholesome meals per day. Headquartered in Birmingham, Mindspace offers a variety of mindfulness workshops and retreats at carefully selected venues across the UK and in Tuscany. At Mindspace you can attend a series of one-day retreats and workshops which will unlock the secrets of mindful meditation as it has been practiced by Buddhists for over 2,500 years. You will learn how to train your mind to focus on the present and become peaceful and self-aware. 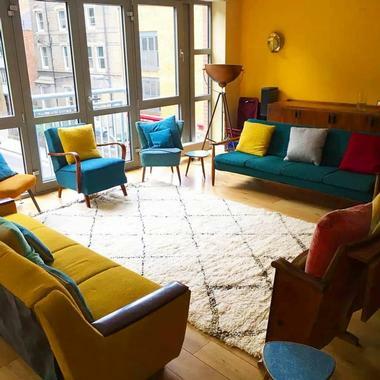 Mindspace also conducts half-day workshops (for the ultra-busy) and if you live too far from one of the Mindspace venues you can buy their new book “Guide to a Mindful way of Life” or sign up for an eight week online course. Platinum Healing was established by Kate Tyler who is a world-renowned expert on Self-healing and Personal Transformation. 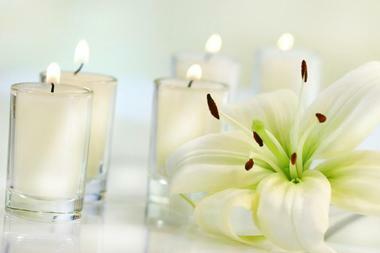 The company offers a range of healing and detox retreats at selected venues in Sussex England and in Europe. Whether you are concerned about physical or spiritual problems, you will find a suitable retreat where your particular concerns can be addressed through a combination of diet, movement (yoga) and mindful meditation. The Arundel Retreat Center in Sussex offers comfortable accommodation, peaceful surroundings and all the necessary space and equipment for a successful retreat. You will be required to partake in a Juice Detox program together with your choice from over 50 holistic mind or body treatments. Established by Zen Master Thich Nhat Hanh, Plum Village is a small monastic community where visitors can learn how to live in harmony with people and the Earth. What began as a small farm in 1982 has grown into a large monastery with over 200 nuns and monks in residence. Here, far from the intrusions of daily life, visitors can immerse themselves in a variety of daily activities designed to enhance your mindfulness as you go about daily tasks. You will learn about the benefits of silent meditation, mindful work (all guests contribute to daily tasks) and how to bring joy to everything you do. 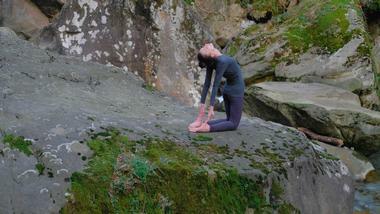 The village hosts several retreats each year including mindfulness retreats for young people and one-day retreats. Sally Stubbs is a prominent Hypnotherapist and Psychotherapist who has put together a number of programs designed to help people achieve a better life. Sally’s programs are based on the principles of Rapha Hypnosis, (Rapha is Hebrew for “healing”) which is a curative therapy which can empower people to learn self-healing. Both spiritual and physical self-healing is addressed in Sally’s various treatment programs and you can learn how to go about improving everything from relationships to loss of hair. All the courses are offered online so that everyone can benefit from her many years of experience. No experience is necessary – simply log in and start learning how to use mindfulness in your everyday life. Gampo Abbey is a Buddhist monastery in the Shambhala tradition, located in Nova Scotia, Canada. Mindful meditation lies at the core of the teachings of Shambhala and Gampo Abbey caters purely to residents who wish to become nuns and monks. The resort also hosts a very limited number of solitary retreats for referred guests who wish to deepen their studies without joining the monastic residents. Visitors who would like to learn about the teachings of Shambhala can join various retreats and programs at the Shambhala Mountain Center in Colorado, where a safe and supportive environment welcomes visitors who wish to develop compassion and focus their minds. When the stresses and strains of modern-day life are leaving you fatigued and anxious, a revitalizing silent retreat at Shreyas Yoga Retreat could be just what the doctor ordered. The resort is one of India’s best luxury yoga retreats and is located near Bangalore where it offers visitors a serene location where you can enjoy a variety of rejuvenating activities. 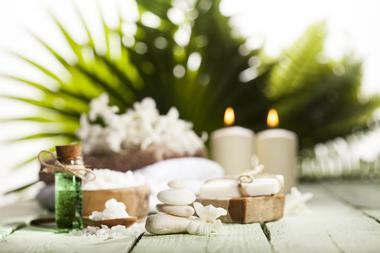 Yoga, chanting, mindful meditation, relaxing massages and other spa services will form part of your silent retreat which starts with a private wellness consultation. The retreat also offers a Culinary Experience which includes visits to local markets and learning how to cook authentic Indian vegetarian food. 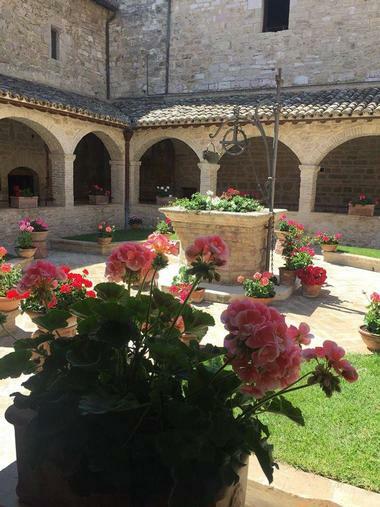 Offering one of the most beautiful and serene locations in Europe, the Silent Stay Retreat Center in the hilltop village of Assisi is the ideal place to go to fine inner peace and healing. In this beautiful and very spiritual place you will be able to go on silent reflective walks in the footsteps of the saints, participate in two or three guided meditations every day and enjoy yoga as often as you like. There is regular personal time when you can relax with a book and you will also go on guided pilgrimage walks to several sacred sites around the town. Each visitor has a private room and bathroom and three delicious meals are served every day. When you feel ready to embark on an exciting journey of self-discovery and healing, the Spirit Rock Insight Meditation Center in California is waiting to set you on the right path. The center offers various residential retreats as well as several non-residential drop-in programs and multi-day non-residential retreats for those lucky enough to live close by. For those wishing to further their studies as mindfulness practitioners and yoga instructors the center offers an immersive five-month program. When you attend a residential retreat at Spirit Rock you will experience all the benefits of a silent retreat – time for introspection, for applying mindfulness to everyday activities, guided meditations and lectures. The Wat Suan Mokkh International Dharma Heritage offers ten-day silent retreats for anyone wishing to experience a true Buddhist retreat in a serene and calming environment. The motto of the retreat center is “Live plainly, aim high” and to this end participants need to understand that they will not be living in a luxury spa resort and that a retreat at Wat Suan Mokkh is not for the faint-hearted. Guests sleep on hard beds with just a blanket and Thai wooden pillow and use shared bathroom facilities; in addition everyone shares chores like sweeping and cooking and enjoys just two vegetarian meals each day. 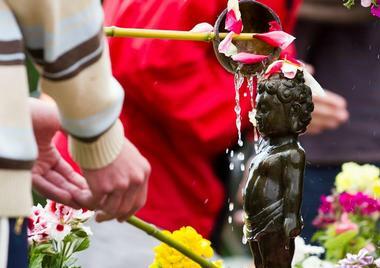 However, the center attracts over 1,000 devotees each year who agree that the spiritual rewards outweigh the minor hardships. The Una resort is located in an idyllic little corner of Cornwall, where it offers jaded city dwellers the chance to relax, unwind and restore body and mind against the beautiful backdrop of St. Ives Bay. You can sign up for a Life Fitness Program at the Una Spa and Leisure center, soak all your cares away in the Jacuzzi and even practice some mindful meditation in the Steam Room. You can join a yoga class, take a long mindful walk along beautiful Carbis Bay or simply relax in the resort’s large indoor pool. 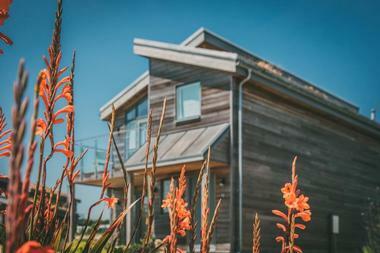 Accommodation at the resort is in two or three-bedroom eco-chalets, some of which have a private hot tub. 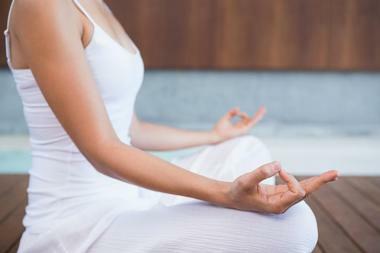 Vipassana Meditation is one of India’s most ancient meditation techniques. Vipassana means to see things as they really are and through Vipassana Meditation you can learn how to re-connect body and spirit in order to improve your life. The doctrine is widely practiced throughout the world and there are Vipassana Meditation centers just about everywhere. You can learn the technique of Vipassana Meditation by joining a ten-day live-in retreat where you will be expected to observe a particular code of conduct which will enable you to fully benefit from your retreat. Special Vipassana courses are offered to teenagers, executives (and to prisoners) to help them learn how to cope with stress and adverse conditions. You can find your closest center on their website. Picturesquely located on the shores of Lake Worth in the beautiful Austrian Alps, Vivamayr is an award-winning luxury medical spa resort in Austria. Here, surrounded by superb natural beauty, you can settle into your five-star accommodation and bid farewell to your everyday stresses. 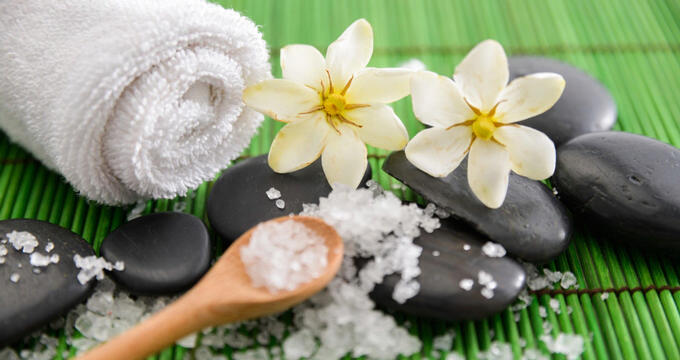 The spa offers a range of tailor-made detox programs which include consultations with the doctor, a personal eating plan, lots of massage, sauna and steam baths and a choice of outdoor activities. 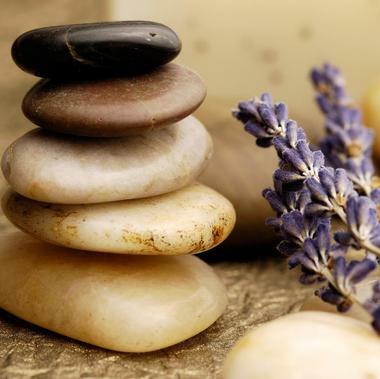 While this spa does not offer guided mindful meditation the serene setting is the perfect place for you to conduct your own personal mindfulness retreat to compliment your physical program. You can give your mind and body a sorely-needed boost by signing up for a course or retreat at a Will Williams retreat in London. A beginner class will teach you how to practice Vedic Meditation – you will be given a personalized mantra to silently repeat as you clear your mind from extraneous noise and enter a deep meditative state. After your course of three sessions you should be able to easily integrate your meditation into your daily schedule and start to benefit from your practice. If you are already familiar with Vedic Meditation you can join one of the three-day retreats where you will practice asana (yoga postures), pranayama (breathing exercises) and meditation.